Look across the ranks of almost any office, retail floor or faculty lounge, and you’ll see many workers doing essentially the same job. Peek at their pay-stubs, though, and you’ll likely find disparity. Pay differences among workers can hinge on objective matters like experience. But salary disparity is often a function of more arbitrary factors — raising the question of why establishing compensation hasn’t evolved into a more fair, equitable and objective system. How do qualities as intangible and unpredictable as work ethic, creativity and esprit de corps get translated into compensation? “It may seem crazy and arbitrary, but there is no effective way to do this, because you are trying to trade off against goals that aren’t necessarily comparable,” says Wharton management professor Matthew Bidwell. “And so, if you want a system that is fair and equitable, preferably with a fair amount of transparency so people know the system is fair and equitable, you [also] want a system to attract and retain top performers and that rewards the right behaviors, particularly behaviors that are good for the organization.” The big challenge is that all of those things are hard to measure, Bidwell adds. Still, there is good reason to believe that the current system for determining compensation can be more fair and equitable than it is. Though little talked about, arbitrary factors governing compensation shadow workers for their entire careers. Daniel Hamermesh, economics professor at the University of Texas at Austin, found that good-looking workers typically earn 3% to 4% more than workers who are more homely. Over a lifetime, that adds up to an advantage totaling $230,000 for the typical more attractive person, or even, for an average-looking worker, $140,000 more, he says in Beauty Pays: Why Attractive People Are More Successful. The disparity wasn’t found only in professions where looks might obviously matter — newscaster, for instance — but, he says, across all professions. Relatively recent efforts to address the gender gap in pay may have suffered a setback. In April, the 9th U.S. Circuit Court of Appeals, in overturning a lower court decision, ruled that employers can pay women less than men for the same work when the determining factor is the difference in workers’ previous salaries. The suit was filed by a California school worker who discovered while having lunch with colleagues that her male counterparts were being paid more than she was. Her lawyer has argued that the decision perpetuates the gender pay gap, and the case appears headed for the U.S. Supreme Court. Women earn 79 cents for every dollar earned by men, according to the U.S. Census Bureau. In large part as an effort to close the pay gap, Philadelphia earlier this year became the first city in the nation to pass a law prohibiting employers from asking about a job applicant’s prior earnings, which tends to extend inequity. The wage gap between black and white Americans is the largest in 40 years, according to the Economic Policy Institute. In 2015, the difference in hourly pay between blacks and whites widened, with blacks making an average of 27% less than whites with the same experience and educational level, according to the EPI. Some industries have been able to move into more objective systems of compensation, with some apparent benefit to both worker and the firm. After Safelite Glass Corporation, the large auto glass company, moved to a system of piece rate pay from hourly pay, Stanford University professor Edward P. Lazear examined data from 3,000 workers over a 19-month period, and concluded that the change had a salutary effect on productivity as well as paycheck. The average level of output per worker rose by 44%, and pay increased by 10%, wrote Lazear in “Performance Pay and Productivity,” published in the American Economic Review in 2000. The pay-for-piece program also drew a class-action lawsuit in 2015 from a technician who claimed that the system of compensation failed to pay for work such as cleaning, attending compulsory meetings and other tasks. The U.S. District Court of California’s Central District ruled partially in the technician’s favor earlier this year. Not every industry, of course, can define success in units as easily measured as number of windshields installed per day. But the use of incentives and a heightened sense of entrepreneurship is what Haier Electronics was looking for in reorganizing its workforce of 60,000 into about 2,000 small teams. The goal of the “microdivisionalization” was to create teams that would operate like business units, accountable for financial performance, with their continuation and compensation dependent on that performance. He points out that the no-negotiation practice might make sense now that it has become relatively easy to search and sift data according to sector and region on sites like Glassdoor and LinkedIn Salary. “It does place the onus on workers to find out at least what a competitive wage is in the region, and it’s easier to do than ever,” he says. Buffer has taken transparency to an extreme. The social-media management tool firm has adopted what it calls an “open salaries” system, publishing all of its salaries, as well as the standardized formulas with which those salaries were calculated: Salary = job type x seniority x experience + location. In other words, a salary is determined by a base pay based upon job type; plus, a 5% to 20% bonus depending on seniority; plus, a multiplier based on experience; a premium tied to location (from no extra money if you’re based in Hanoi to an extra $22,000 if you live in San Francisco or Paris); and a choice of $10,000 more or more equity in the company. To some extent, he says, all of these forces are in play today. “NO AGE JOKES tonight, all right?” quipped Sir Mick Jagger, the 73-year-old front man of the Rolling Stones (pictured), as he welcomed the crowds to Desert Trip Music Festival in California last October. 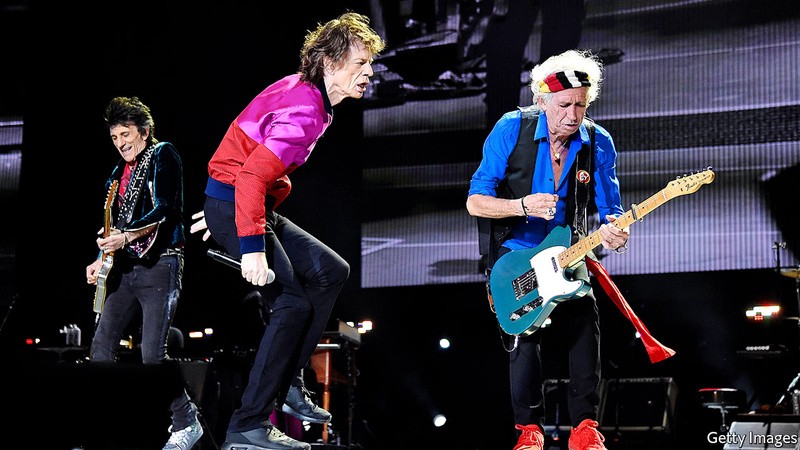 The performers’ average age was just one year below Sir Mick’s, justifying his description of the event as “the Palm Springs Retirement Home for British Musicians”. But these days mature rock musicians sell: the festival raked in an estimated $160m. There are many more 70-somethings than there used to be, though most of them are less of a draw than the Stones. In America today a 70-year-old man has a 2% chance of dying within a year; in 1940 this milestone was passed at 56. 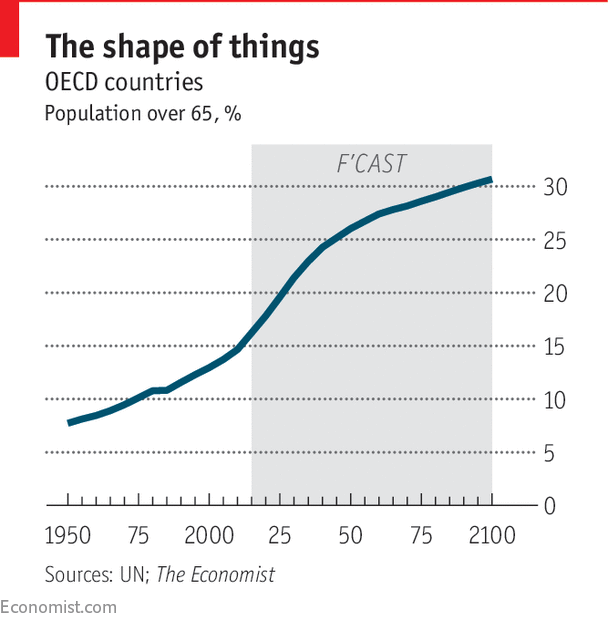 In 1950 just 5% of the world’s population was over 65; in 2015 the share was 8%, and by 2050 it is expected to rise to 16%. Rich countries, on which this report is focused, are greying more than the developing world (except for China, which is already well on the way to getting old); the share of over-65s in the OECD is set to increase from 16% in 2015 to 25% by 2050. This has knock-on effects in older age groups too. Britain, which had just 24 centenarians in 1917, now has nearly 15,000. Globally, a combination of falling birth rates and increasing lifespans will increase the “old-age dependency ratio” (the ratio of people aged 65 or over to those aged 15-64) from 13% in 2015 to 38% by the end of the century. To listen to the doomsayers, this could lead not just to labour shortages but to economic stagnation, asset-market meltdowns, huge fiscal strains and a dearth of innovation. Spending on pensions and health care, which already makes up over 16% of GDP in the rich world, will rise to 25% by the end of this century if nothing is done, predicts the IMF. Much of the early increases in life expectancy were due not to people living longer but to lower death rates among infants and children, thanks to improvements in basic hygiene and public health. From the start of the 20th century survival rates in old age started to improve markedly, particularly in the rich world, a trend that continues today. More recently, life spans—the estimated upper limits of average life expectancy—have also been increasing. Until the 1960s they seemed fixed at 89, but since then they have risen by eight years, thanks in part to medical advances such as organ replacements and regenerative medicine. The UN estimates that between 2010 and 2050 the number of over-85s globally will grow twice as much as that of the over-65s, and 16 times as much as that of everyone else. Warnings about a “silver time bomb” or “grey tsunami” have been sounding for the past couple of decades, and have often been couched in terms of impending financial disaster and intergenerational warfare. Barring a rise in productivity on a wholly unlikely scale, it is economically unsustainable to pay out generous pensions for 30 years or more to people who may have been contributing to such schemes only for a similar amount of time. But this special report will argue that the longer, healthier lives that people in the rich world now enjoy (and which in the medium term are in prospect in the developing world as well) can be a boon, not just for the individuals concerned but for the economies and societies they are part of. The key to unlocking this longevity dividend is to turn the over-65s into more active economic participants. This starts with acknowledging that many of those older people today are not in fact “old” in the sense of being worn out, sick and inactive. Today’s 65-year-olds are in much better shape than their grandparents were at the same age. In most EU countries healthy life expectancy from age 50 is growing faster than life expectancy itself, suggesting that the period of diminished vigour and ill health towards the end of life is being compressed (though not all academics agree). Yet in most countries the age at which people retire has barely shifted over the past century. When Otto von Bismarck brought in the first formal pensions in the 1880s, payable from age 70 (later reduced to 65), life expectancy in Prussia was 45. Today in the rich world 90% of the population live to celebrate their 65th birthday, mostly in good health, yet that date is still seen as the starting point of old age. This year the peak cohort of American baby-boomers turns 60. As they approach retirement in unprecedented numbers, small tweaks to retirement ages and pensions will no longer be enough. This special report will argue that a radically different approach to ageing and life after 65 is needed. The problems already in evidence today, and the greater ones feared for tomorrow, largely arise from the failure of institutions and markets to keep up with longer and more productive lives. Inflexible labour markets and social-support systems all assume a sudden cliff-edge at 60 or 65. Yet in the rich world at least, a new stage of life is emerging, between the end of the conventional working age and the onset of old age as it used to be understood. Those new “young old” are in relatively good health, often still work, have money they spend on non-age-specific things, and will run a mile if you mention “silver”. They want financial security but are after something more flexible than the traditional retirement products on offer. They will remain productive for longer, not just because they need to but because they want to and because they can. They can add great economic value, both as workers and as consumers. But the old idea of a three-stage life cycle—education, work, retirement—is so deeply ingrained that employers shun this group and business and the financial industry underserve it. History shows that identifying a new life stage can bring about deep institutional change. A new focus on childhood in the 19th century paved the way for child-protection laws, mandatory schooling and a host of new businesses, from toymaking to children’s books. And when teenagers were first singled out as a group in America in the 1940s, they turned out to be a great source of revenue, thanks to their willingness to work part-time and spend their income freely on new goods and services. Such life stages are social constructs, but they have real consequences. This report will argue that making longer lives financially more viable, as well as productive and enjoyable, requires a fundamental rethink of life trajectories and a new look at the assumptions around ageing. Longevity is now widespread and needs to be planned for. The pessimism about ageing populations is based on the idea that the moment people turn 65, they move from being net contributors to the economy to net recipients of benefits. But if many more of them remain economically active, the process will become much more gradual and nuanced. And the market that serves these consumers will expand if businesses make a better job of meeting their needs. The most important way of making retirement financially sustainable will be to postpone it by working longer, often part-time. But much can be gained, too, by improving retirement products. The financial industry needs to update the life-cycle model on which most of its products and advice are based. Longer lives require not just larger pots of money but more flexibility in the way they can be used. As defined-benefit pension schemes become a thing of the past, people need to be encouraged to set aside enough money for their retirement, for example through auto-enrolment schemes. It would also help if some of the better-off pensioners spent more and saved less. They would be more likely to do that if the insurance industry were to improve its offerings to protect older people against some of the main risks, such as getting dementia or living to 120. Many people’s biggest asset, their home, could also play a larger part in funding longer lives. And for the oldest group, increasingly there will be clever technology to help them make the most of the final stage of their lives, enabling them to age at home and retain as much autonomy as possible. Perhaps surprisingly, products and services developed mainly for the young, such as smartphones, social media, connected homes and autonomous cars, could also be of great benefit to the older old. But the report will start with the most obvious thing that needs to change for the younger old: the workplace. Again, there are parallels with young people. Working in the gig economy, as so many of them do, may actually be a better fit for those heading for retirement. The promise of faster economic growth has become a study in the triumph of hope over experience. 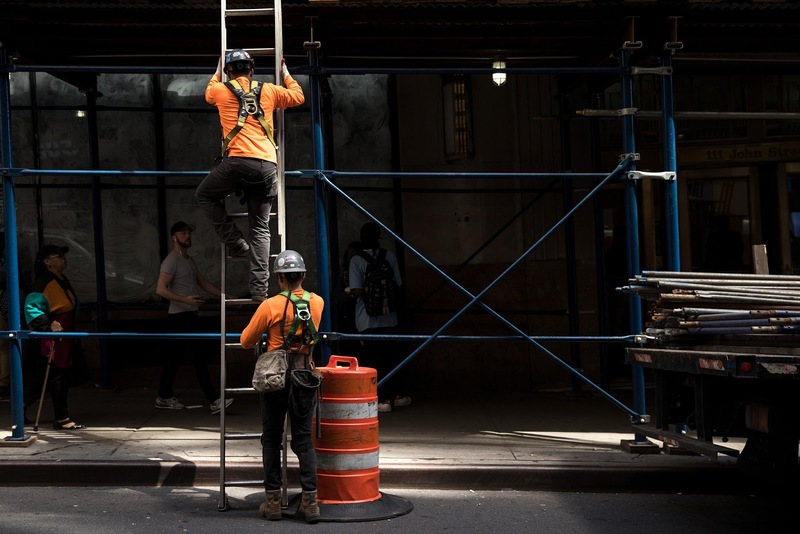 While the June jobs report, coming on Friday, is expected to show that hiring continued at a healthy pace last month, other recent indicators in areas like consumer spending, construction and auto sales have been decidedly less robust. As a result, Wall Street forecasters have been busy lowering their growth estimates for the second quarter, which ended last Friday, much as they were forced to do over the first three months of the year. Economic expansion for the full year now appears unlikely to be much greater than 2 percent — about the average for the current recovery, which celebrates its eighth year this month. While hardly terrible, it is not the burst of growth — a “Trump bump” — that many expected to result from an upturn in consumer and business sentiment after President Trump’s election. But the Federal Reserve Bank of Atlanta’s widely followed GDP Now expects the second-quarter growth figure to come in at 2.7 percent, more than a full percentage point below where it was in May, and a decline even since the beginning of the week. The New York Fed’s Nowcast is even more bearish, with an estimate of 1.9 percent for the quarter just ended and 1.6 percent for the current quarter. “We never seem to have the rebound that people anticipate,” said Stephanie Pomboy, an independent economist in New York who has been skeptical about initially rosy forecasts favored by many of her colleagues in recent quarters. The fading expectations for the current quarter are only the latest example of how faster economic growth seems perpetually out of reach. Far from living up to expectations of a lift after Mr. Trump’s election, the growth rate in the first quarter turned out to be an anemic 1.4 percent. Some of the weakness stemmed from seasonal factors and calendar quirks that have repeatedly produced soft annual starts during the current recovery. The indicators that Mr. Trump highlighted in recent messages on Twitter are indeed pointing in the right direction — strong job creation, a record high for the Dow Jones industrial average and low gasoline prices. But so far, the economy’s basic trajectory remains the same as it did under President Barack Obama. The diminishing expectations are reflected in the dollar’s recent slump. That is not necessarily a bad thing — a weaker dollar makes exports more competitive in foreign markets. It is, however, a sign of the world’s take on the American economy, as well as an indication of improving prospects abroad, especially in Europe. Experts say that without a meaningful change in government policies — greater infrastructure investment, an overhaul of the corporate tax code, a new commitment to improve the skills of American workers — there is no reason to expect the domestic outlook to change. And with deep party divisions in Washington — and the inability of Republicans so far to capitalize on control of Congress and the White House — the odds of passing a major infrastructure bill or sweeping tax legislation are growing longer by the day. Growth of 2 percent is not horrible, especially given that the recovery is now the third longest on record and that the unemployment rate is at 4.3 percent, the lowest in 16 years. Still, it is a far cry from the annual gains of 3 percent or more achieved a decade ago, or the 4 percent rate in the late 1990s. Nor is it strong enough to deliver big increases in household income, which has been stagnant for decades for all but the wealthiest slice of the population. Mr. Anderson said much of the deceleration could be linked to forces beyond the control of politicians and policy makers: an aging population in the United States and a work force that is growing much more slowly than in past decades. “We had an opportunity to do some real heavy lifting on the infrastructure issue when interest rates were very low,” Mr. Anderson added. That window has now almost certainly closed, with the Fed normalizing monetary policy and gradually raising interest rates. Ms. Pomboy pointed out that changing consumer habits in the wake of the financial crisis and the recession — notably an increased wariness about spending and taking on debt — also explain what is looking more and more like a long-term downshift. “The post-crisis consumer is fundamentally different from the consumer we knew and loved before the crisis,” she said. The household savings rate, which bottomed out at 2.2 percent amid the housing bubble in 2005, now stands at 5.5 percent. In addition to being more cautious about spending in general and about borrowing against their homes in particular, Ms. Pomboy said, consumers are holding back on discretionary purchases because of the rising health insurance premiums and medical costs as well as onerous student debt payments. Another warning sign: After rising steadily from 2011 to 2015, federal tax payments from individuals are down slightly this year compared with the previous 12 months, suggesting that personal income is faltering. To be sure, most mainstream economists do not foresee an imminent recession. Nariman Behravesh, chief economist at IHS Markit, goes so far as to say, “we’re chugging along here,” citing healthy income growth and hiring, as well as a strong housing market. Nor is everyone prepared to give up on growth. Macroeconomic Advisers, a St. Louis research firm whose crystal ball is highly regarded among forecasters, began the second quarter by calling for 3.6 percent growth but now estimates the rate will be more like 2.5 percent. But Ben Herzon, a senior economist there, said the rebound is delayed, not dead, especially as businesses restock warehouses and shelves after drawing on inventories in the first half of the year. MEXICO CITY – It is easy to sympathize with Mexico now that US President Donald Trump has turned that country into a political piñata. If Trump gets his way, Mexico’s northern border will feature a “big, beautiful wall,” and the North American Free Trade Agreement, which is crucial to Mexico’s economy, will be renegotiated to satisfy an “America first” agenda. And if that were not enough, Mexican capital and currency markets will bear the brunt of the pain from unstable US monetary and fiscal policy. But Mexico is not alone, and its experience is relevant for all emerging economies, because Trump has called into question the entire framework of global trade and openness. In fact, judging by Trump’s performance at the recent G7 summit in Sicily, we can expect to see him continue his attack on globalization at the G20 summit in Hamburg this week. Few countries have embraced globalization more wholeheartedly than Mexico, which is now one of the most open economies in the world. Emerging economies in general have pursued export-led growth strategies similar to that of the Asian Tigers (Hong Kong, Singapore, South Korea, and Taiwan). But Mexico has gone further, by embracing manufacturing as a way to diversify its economy away from oil extraction. Unfortunately, Mexico and many other emerging economies began adopting these policies just as China’s great opening-up was accelerating. Mexico’s traditionally strong industries, such as textiles, could not compete and were essentially wiped out; and incipient industries that had once shown great promise, such as consumer electronics, were crushed. The China shock did eventually recede, but Mexico never fully regained its competitiveness. If there is one exception, it is the automobile industry, which is heavily dependent on open borders with the US. All told, trade with the US accounts for more than 80% of Mexican exports and 25% of its GDP, up from 10% before NAFTA. Accordingly, weak US growth in the wake of the 2008 financial crisis has hurt Mexican industry, and falling oil prices have amplified that pain. In recent years, Mexico’s growth rate has been far below potential. Although labor productivity significantly increased under NAFTA, total factor productivity – a better measure of long-term competitiveness – has been constant, and sometimes negative, for 25 years. According to Santiago Levy of the Inter-American Development Bank, the range of productivity among Mexican firms has widened dramatically during the NAFTA years. While the number of high-productivity firms has increased, the number of low-productivity firms has increased more. Worse, Levy finds that surviving firms do not create more jobs, while new firms that do create jobs are often less efficient than those they are replacing. For Levy, informality and illegality are at the root of this phenomenon in Mexico, and may also help to explain what has happened in other emerging economies struggling to move from middle- to high-income status. In a 2012 working paper, Levy draws a crucial distinction between formal and informal firms, and their respective productivity. Based on census data, he finds that in Mexico, “the majority of firms are informal but legal,” and concludes that surviving firms have adapted by converting salaried jobs that are covered by government employment insurance into non-salaried work. By “informalizing,” incumbents can outcompete new entrants, who then exit the market, having wasted significant resources. Levy’s apt name for this process is “destructive creation,” as opposed to “creative destruction,” which is a key driver of productivity, particularly as economies move closer to the technology frontier. To its credit, Mexico, like many other emerging economies, has undertaken significant reform. Talented Mexican technocrats, most of them trained in the US, have made substantial improvements to the country’s macroeconomic framework, and helped it weather recent storms. Although Trump’s attacks pushed the peso down by as much as 50%, inflation has increased by only a few percentage points since his election. The problem, as Levy shows, is that Mexico’s competitiveness-enhancing reforms have not gotten to the root of the productivity problem. Although Mexico exports more than all other Latin American countries combined, its export sectors’ efficiency gains have been offset by policies that systematically funnel resources toward low-productivity firms with non-salaried workers. These policies can be found across emerging economies. But in Mexico, they are deeply rooted in the country’s laws and institutions, and social subsidies and micro-lending schemes have reinforced them. It is understandable that the Mexican government would want to protect non-salaried workers, but it seems to have done so at the expense of productivity growth. Imperfect institutions and weak state capacity are common features in most emerging economies, but their effects are reflected in different ways. Mexico, for example, has a large illicit narcotics industry that is fueled by US demand. The Mexican drug trade fuels corruption and loss of life on a scale that, today, is second only to the conflict in Syria. It is increasingly clear that the war on drugs cannot succeed. Worse, it undermines the functioning of government, most recently that led by President Enrique Peña Nieto. What Mexico needs now is not sympathy, but predictable US policies. If all parties come to the table in good faith, NAFTA actually can be renegotiated to serve everyone better. A border wall, however, is not in anyone’s interest. More people move from the US to Mexico than the other way around; if anything, the US needs more newcomers to help make up for labor shortages, particularly in the care sector. And commonsense US drug policies would probably do more than anything else to help Mexico develop. Still, it is ultimately up to Mexico to confront its productivity and inclusive-growth challenges. Mexico is now among the most unequal emerging economies in the world. In China, by contrast, income inequality is decreasing, thanks to rising wages and the provision of improved health insurance and other services to workers. If Peña Nieto’s government cannot deliver more growth for more of Mexico’s people, the country Trump loves to malign might end up with a Trump of its own – and a leftist one at that.